Well work has been trickling in for the next couple of months, seems the tourism has done well this past summer and we are getting quite a bit of over flow into winter which is valuable to all. Fishing has remained good, great browns are still hanging about and the start of the rainbows are trickling into some systems such as the Waytoohardanui. The Tongariro has had some small runs but they seem to happen randomly all year anyway to be honest. Backcountry is now becoming very low on some waters but this does not make me nervous I am of the thinking it makes things easier. One river I was on today was very good on the dry fly even though Cicadas are well gone with the colder mornings now. When conditions are low fish are sitting where they areÂ supposed to be and a good size dry presented well with a nymph in below will always catch their attention. As we venture into winter most fishing in these places will slow and even see fish move higher in river systems for spawning but will still be very catchable with traditional nymphing rigs. 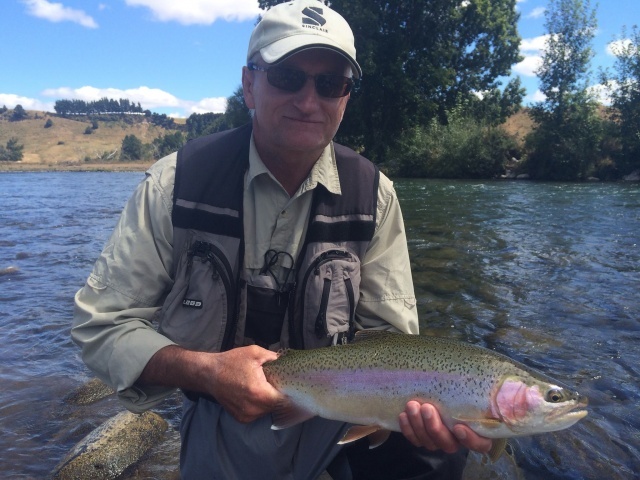 Taupo will be slowly coming into its prime and many winter fisherman wont be far away from dusting of their rods and fluffing those indicators. Glo bugs will be getting tied in their dozens and heavy bomb type naturals will soon be deployed to hold them on the bottom. I will assume most of my early season fishing will be getting done close to home on the Hine. This in the past has been very good for the most of winter with a good spread of fish entering when conditions are favourable. The river has had quite a lot of pressure over the past three years and I wonder how long it can go on for . Lake fishing was again amazing this summer so Im assuming there is no shortage of good fish which will be ready to spawn so lets hope they enter the rivers and a good portion of them sneak through to where they should be . 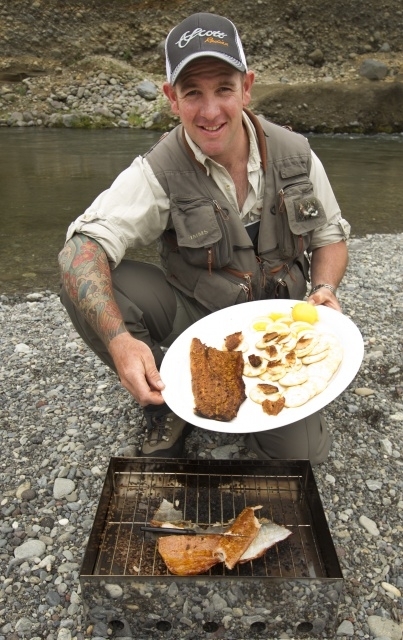 Lately fishing the mighty Tongariro has been both productive but at times bloody frustrating!! Fish seem to be locked into lace wings and I for the life of my cant seem to catch one feeding on these critters. I have come across some of these fish before year in year out in fact and I still have not found a pattern which has made my life easy. Occasionally I foolÂ one with a small para adams or even a un weighted pt nymph in the film but this doesn’t happen often enough. Im looking forward to seeing the next flood go through most Taupo waters , heading into winter most fisheries couldÂ do with a de slime and wash out. Of course this will be the start of our winter runs I hope and kick start what I hope will beÂ a memorable winter. Currently the bush around the rivers in which you fish is quite possibly alive with roaring rutting Stags and hunters looking to spoil their fun. I am a very keen hunter and even take hunters on guided adventures here in the north island but urge everyone to stay safe and be sensible if participating in this sport. Sadly I see a life has been taken accidently already and we are only just into the start of it all. This action should be expected for at least the next month so keep this in mind while taking short cuts!